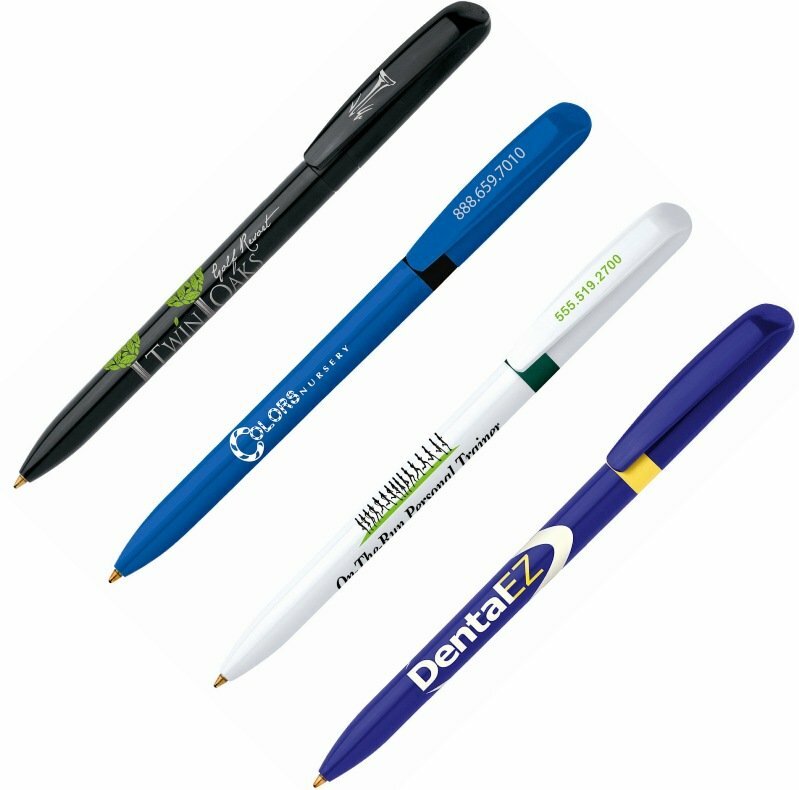 Bic with a twist, action that is for imprinted pens with your logo try the Bic Pivo, twist action pen. Features include Bic brand name, quality plastic, retractable with clip, over 1 mile of writing. Price includes a one color imprint on the barrel area 2" w x 3/4" h.
For clips imprinted in a area 1" w x 5/32" h add $.15 each.